George Carlin had a routine where he explained that there are two types of drivers on the road: idiots and maniacs. Idiots are anyone going slower than you, and manics are anyone going faster than you. Well, on behalf of all maniacs, I'd like to explain myself. I drive fast. Sometimes very fast but I pick and choose where I do that. I have driven on a racetrack (the essence of fast driving). I usually drive 5 mph over the speed limit. This is slow enough most cops won't bother you. But, this puts me in the "maniac" range for the majority of other drivers, at least were I live. I consider speed limits to be a random number chosen by some politician or bureaucrat not to maximize safety and convenience, but to maximize revenue. Most speeds limits are set about 10 - 15 mph too slow to maximize safety. How can that be? Highways are most safe when cars are travaling similar speeds. It's the "speed variance" that is dangerous. 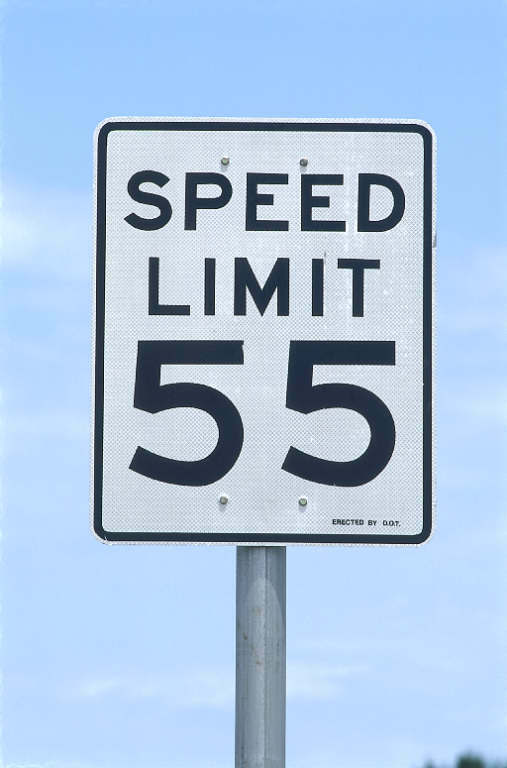 Michigan studied a highway that had a 55 mph speed limit. The average speed on the road was 73 mph but some were driving slower than 55. That was a very high speed variance. They raised the speed limit to 70 mph and not only did the average speed drop to 72 mph, the speed variance dropped. The speed limit went up and the safety increased. But probably speeding ticket revenue from that road decreased. 1) Exceeding the random number the government puts on the speed limit signs. 2) Blatantly ignoring the speed limit and driving as fast as conditions permit. 3) Driving too fast for conditions (i.e., driving stupidly fast). To me, people doing this are the maniacs. I do #1 all the time (5 mph over the speed limit). I do #2 occasionally in select places where I consider it safe to do so (and there probably is a small possibility of having a cop around). I don't do #3 (which would be, for example, going 100 mph on the interstate when everyone else is doing 70). But why do I drive fast? For #1 type of speeding, it's because driving the speed limit is boring. I need faster input than that allows. For example, I was driving in Wyoming where the speed limit on the interstate was 75 mph. I was doing 80 (of course). But I'd been driving all day, it was late, and was getting tired. My ability to handle the input went down. So I slowed down to 75 (I eventually turned driving duties over to my son). For #2 type of speeding, my only excuse is: it's fun. It's a blast to push a car's limits and the limits of your own skills. This is why I so loved driving on the racetrack. It's not about speed, but it's about control and skill. But it takes speed to test both. I've done 155 mph on the racetrack. It was glorious. Now, when I drive fast, I do it in a way that doesn't endanger me or other people. I'm not suicidal. But at 5 mph over the speed limit is often boring. But I bear with it because tickets are expensive. But when I let loose (in a safe place to do so), it's the most fun I've had with my clothes on.